During its WWDC 2018 keynote, Apple gave no mention to Apple Music, or whether there are any notable updates coming down the pike. Well, it appears the company has a few surprises up its sleeve for Apple Music subscribers after all, in the form of a few subtle but useful new additions to the service. First up is a new searchable section Apple has dubbed ‘Coming Soon’, which essentially allows Apple Music users to browse and view upcoming album releases that are expected in the foreseeable weeks and months. From the ‘Coming Soon’ hub, which MacRumors notes is somewhat of a work in progress at the moment, users can view upcoming album releases from a wide variety of artists and genres. From the iOS Music app, a current snapshot of upcoming album releases include Panic! At The Disco’s “Pray For the Wicked” (out on June 22), Florence & The Machine’s “High As Hope” (out on June 29), Interpol’s “Marauder” (due out on August 24), and more. The list only contains about 10 viewable options currently, however this is believed to be due to the new nature of the feature as some users report new releases popping up sporadically throughout the day today. There’s one other new addition to Apple Music which appears to make the process of viewing album launch dates easier, displaying them in a new line of text visible from both the iOS and macOS apps. “In the Editors’ Notes section, following the traditional encouragement to add the pre-release album to your library, there’s a new line that begins ‘Album expected…’ followed by the album’s specific release date,” MacRumors notes, adding that some albums displayed in the new Coming Soon section also have their release dates specified in these pages. 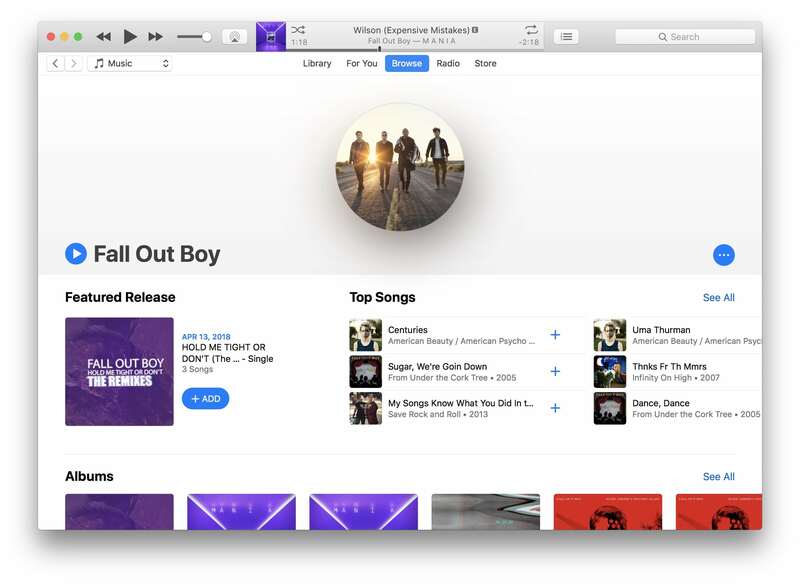 Last but not least, a final Apple Music update issued on Friday appears to usher in a new design for artist profiles, as they’ve been spotted featuring a slightly tweaked layout with new artist portraits in circular bubbles, and a “Featured Release” byline that includes release dates. 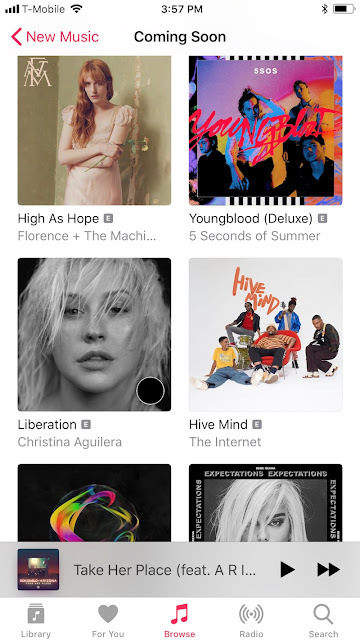 Also noticed by several early beta testers of iOS 12 is a new “Play” button located next to the artist’s name, which reportedly plays their music on shuffle but has only been seen within the iTunes app on a Mac computer running macOS 10.13.4 thus far, MacRumors reports. 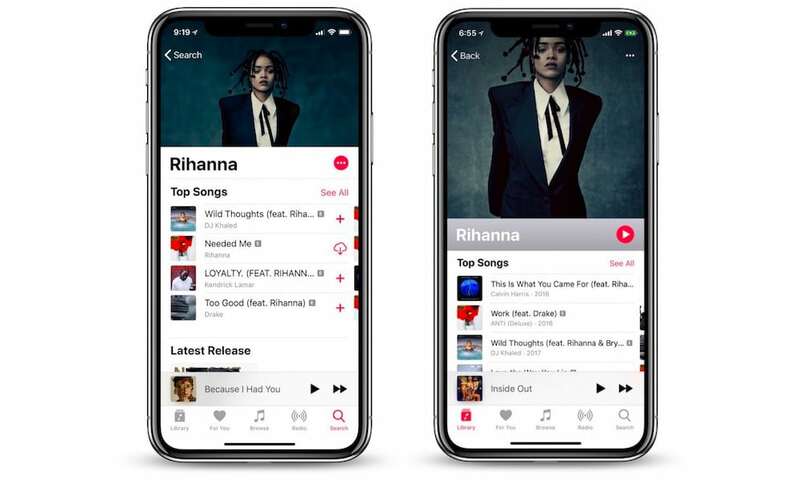 If you’re an Apple Music subscriber and you haven’t noticed these subtle changes yet, we recommend staying tuned as it appears they’re trickling out to users on a rolling basis, as opposed to being a huge, publicized software update.